Bee Me Kidz operates every Saturday morning throughout the school year in several Saint John locations. The program is currently offered to students in grades one, two and three. By starting at a young age, children can build their learning potential early in their school careers. 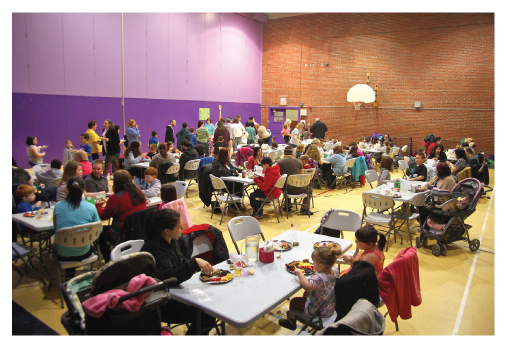 Each week’s session begins at 10:00 a.m. with a delicious family brunch where the Bee Me Kidz and their parents/guardians can enjoy each other’s company over a healthy, homemade meal. After brunch, parents/guardians attend a Parents Group where they can socialize and provide feedback on the program. They also receive a summary of what the children are learning that day along with strategies to reinforce the lesson of the day at home. During the parent support hour, Bee Me Kidz offers free babysitting for brothers and sisters of the Bee Me Kidz children. Parents attending the Parents Group for three consecutive weeks receive a free basket of fresh fruits and vegetables in the fourth week. 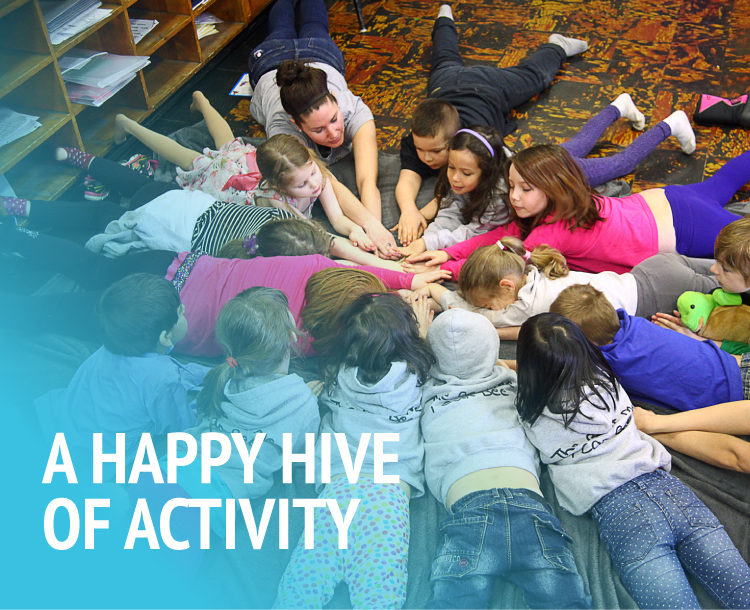 While parents, brothers and sisters enjoy their sessions, the Bee Me Kidz children take part in fun activities that develop their social and emotional skills through play, structured games, stories and yoga, along with lessons from the PATHS® Curriculum. At 12:00 p.m., parents, brothers and sisters leave and the Bee Me Kidz children are provided with a healthy snack. After their snack, the kids take part in 15 minutes of meditation/yoga. After this they are split up into three groups where they take part in physical activity, games and crafts. At 2:00 p.m., the children are picked up by their parents/guardians and are given a healthy take-home snack.